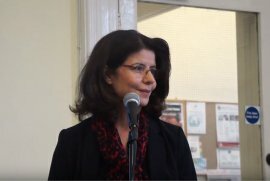 Dr Nazand Begikhani holds a Ph-D from the Sorbonne University on Kurdish women’s representation in European literature, and currently works for the BBC. KurdishMedia.com: “Honour” is a title of a new book in English that you contributed to, could you describe this project, the idea and the aims? Dr Begikhani: As introduced by the editors, the book is the outcome of a collaborative, action-orientated research project aimed at mapping practices, disseminating information and facilitating the counter-strategies regarding crimes of honour. 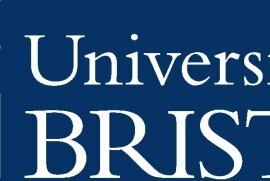 It is part of a joint project by CIMEL, a research centre in the Law Department of SOAS (School of Oriental and African Study) and a UK-based human rights organization called InterRights. It started in 1999 and lasted for five years. I got involved in the project in its last stage when I was commissioned to go to Iraqi Kurdistan and carry out field research on the subject. My chapter, which is about honour-based violence in South Kurdistan, is the outcome of the research. What triggered the idea of the project was the murder of a number of women for the sake of family honour inside ethnic minority communities in Europe. For many years, honour killing was tolerated under the pretext that it was as part of “traditional” or “cultural” practice. Hence, it escaped national and international scrutiny. The book is an excellent initiative, which goes beyond the traditional approach to honour crimes and considers them as human rights violations of the most important kind. It suggests that strategies to uproot the practice of honour-based violence should be rooted in a human rights perspective. 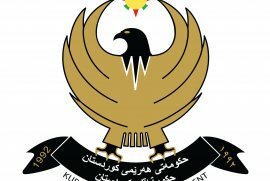 KurdishMedia.com: In your chapter you refer to some articles of the Iraqi Penal Code that remain in force in Kurdistan after years of self-rule. Are there any steps taken by women organizations to put pressure on the government to change the law, especially those parts that discriminative against women? 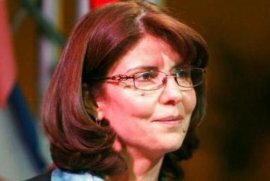 Dr Begikhani: The Iraqi criminal justice system which is based on the Iraqi Penal Code (Law No 111/ 1969) should have been changed not only because it legitimizes the subordinate position of women, but because it was the initiative of the Ba’sthist regime, whose atrocities against Kurds are not less than those of the Nazi regime against Jews. 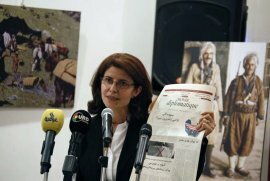 Kurdish women have been campaigning against legal discrimination and advocating a change in the law since the formation of the Kurdistan Regional Government in 1992. For many reasons, including the continued menace of Saddam Hussain’s regime and the destructive fratricidal war in South Kurdistan, the demands of Kurdish women for legal reform were dismissed. At the end of the 1990s, with the increase in the number of women’s rights groups and, above all, with the increase in honour crimes, the demand for legal reform was reactivated both in Kurdistan and amongst the Diaspora. Through marches, conference and other public activities and interventions, pressure was placed upon the Kurdish authorities. Along with this campaign, a number of high-profile honour killings reached the courts and resulted in media attention in Western Europe. The situation sharpened international public opinion and increased pressure on the Kurdish authorities who started an initiative to reform the Iraqi Penal Code in 2000. Since then, a number of reforms have been enacted. In my field research carried out in Spring 2004, I reviewed fourteen cases of honour killings and honour-based mutilations in the Criminal Courts in Dihok, Erbil and Sulaymanya. The records of court proceedings testify to the fact that reform is underway and making itself felt in the application of justice. However, I should say that up to our day and for many reasons developed in my chapter, the number of honour killing cases reaching the courts is limited. We should recognize that the reform of law alone is not enough in combating honour-based violence. As the practice is rooted in a traditional mentality, there is a serious need for other interventions, including education, health and awareness-raising programmes to modify social and cultural behaviour that sanction violence against women. At this stage, it is necessary that women and civil rights organizations along with the parliamentary group dealing with gender equality come together and initiate such programmes. 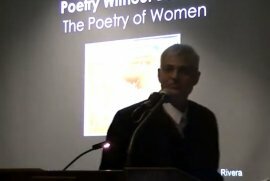 KurdishMedia.com: How often do honour killings and violence against women happen in Kurdish communities both in Kurdistan and abroad? 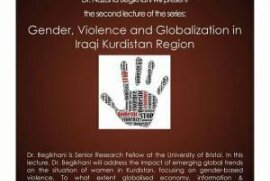 Dr Begikhani: Unfortunately, violence against women in general and honour-based violence in particular is still widely practised both in Kurdistan and inside the Kurdish community abroad. The murder of Banaz Babakir Agha who disappeared a few months ago in the UK and whose body was found at the end of April, is proof of that. In Kurdistan, according to Kurdish media reports, honour-based violence in general and self-immolation in particular, has increased, especially in the newly liberated areas- such as Khaneqin. KurdishMedia.com: What can be done back home and in Diaspora to highlight the issue of honour killing in particular and violence against women in general? Dr Begikhani: There are a number of strategies that could be developed to raise national and international awareness about this practice and to redress it. On the international level, Kurdish women need to establish networks with international human rights organisations and to participate in world forums to draw attention to the reality of Kurdish women. Violence against women is a universal phenomenon. By being open and networking with the outside world, we can learn from the experience of women in similar situations and also make our voice heard. Here I would like to recall the recommendations of the UN special rapporteur on violence against women (1993-2004), Radhika Coomaraswamy: Women across different geographical and social boundaries have to make sure that customs, tradition and religion are not used as justification for violence against women in general and honour killing in particular. In Kurdistan, we need to develop penal, civil and administrative sanctions to punish violence in the family and provide necessary help to victims. We have to advocate effective criminal legal measures that prevent, prosecute and punish honour crime. As I said earlier, legal reform is not enough alone, there is a need for education and awareness-making programmes at every level of society, including within the judiciary and wider legal community, media organizations, schools and universities, police, etc. 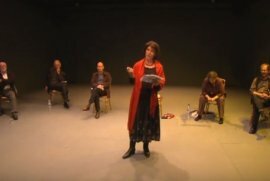 KurdishMedia.com: In your view, is the Kurdish government doing enough to curb violence against women? What else can be done? Dr Begikhani: We should recognize that it is an extremely tough time for the Kurds. Although many shortcomings have been observed in the nationalist projects of the two main governing parties in Iraqi Kurdistan, I see this juncture as nation-state building at its early point of development. I understand that people are very critical of the PUK and KDP, but we have to believe that inside these two parties there are reformist and dynamic figures, people who need the support and positive contribution of progressive people outside the parties, in order to strengthen the forces of modernisation in the struggle against conservatism. Building a Kurdish civil society requires dialogue, open communication and cooperation with the authority. The programme of the united Kurdistan government announced by the prime minister Nechirvan Barzani on May 7th contains many challenging plans, including fighting corruption, as well as building a system of transparency and accountability. If the plan is put into force, there is no doubt that it will create a progressive society, where social justice and gender equality can prevail. 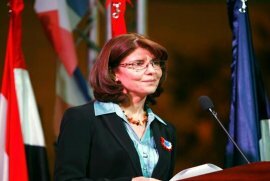 KurdishMedia.com: Are you disappointed with the marginalisation of women in the newly formed united Kurdish government? Dr Begikhani: It is very disappointing. The justification of some politicians saying that there aren’t enough competent figures among Kurdish women is unacceptable. This statement is similar to the one developed by Turkish Kemalists saying that Kurds are not competent to rule themselves. How can you be competent in government and management if you do not have the opportunity to put into practice your skills and qualifications? The active participation of women is important in realising the aforementioned plan of the united government. Women’s social, economic and political development is a key condition for the establishment of a solid foundation necessary in building a Kurdish nation-state. Regarding the low representation of women in the fifth cabinet, it is with regret that I must admit that Kurdish women have not mobilised sufficiently to formulate and present their recommendations for participation to the governing parties. 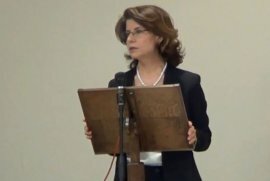 KurdishMedia.com: Many people see most of the women’s organizations in Southern Kurdistan as party puppets. Their board members are mainly women associated with the two big parties. How accurate is it and how can an organization be critical of a system if it takes funds from the major parties? Dr Begikhani: I don’t agree with you that women’s organizations are party puppets. That might have been the case sometime in the past. Since the late nineties women have become more active in advocating gender equality and social justice. The shortcomings of Kurdish women may lie in the fact that they have not been able to liberate themselves from the patriarchal mentality, assess their needs, formulate their demands and address strategies for action. We should not forget that this part of Kurdistan has only just begun to emerge from the horror of 40 years of Ba’thist violence, which destroyed the social and economic structures of Kurdish society. The needs on the ground are numerous and the political and economic situation had not always favoured organized and structured action. Criticism is important, but it is not enough. I believe in a more rational approach. 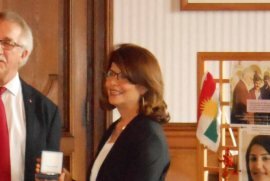 KurdishMedia.com: Some people accuse your organisation and similar ones of exposing some cultural backwardness and putting shame on the Kurdish community by highlighting honour killings. What is your response to those? Dr Begikhani: What is shameful is the attempt to hide the practice of honour crime by stating that this exposes the Kurdish nation to criticism. We are in the heart of a dangerous problem that needs to be discussed, understood and resolved. 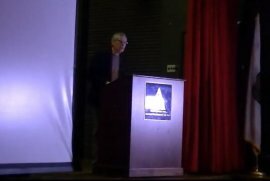 It is important for us to participate in international bodies, forums and to have a voice in the Western mass media. From my experience as the board member of a Metropolitan police group tackling honour crimes in the UK, and as a member of an expert group cooperating with the Swedish government to organize an international conference on honour-based violence in 2004, I know that we can contribute to an in-depth understanding of the problem. And, by reaching Western media channels, we can challenge the clichéd and stereo-typical views that permeate much of the Western media. 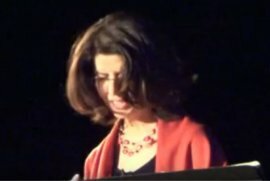 Many Western people prefer to see honour killing as a natural function of a barbaric alien culture and so refuse to acknowledge the differences and dynamism within Kurdish culture; it is perhaps ironic that they share the same position as those Kurdish conservative forces that resist adaptation and internal change. We are an alternative voice within both the Kurdish and Western spheres of public debate. As such, our existence should be valued as a growing force for progressive change. Dr Begikhani was born in Koysinjaq, Iraqi Kurdistan, in 1964. 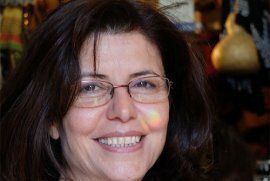 She fled the Ba’thist regime in 1987 and settled in Europe (Denmark, France, UK). 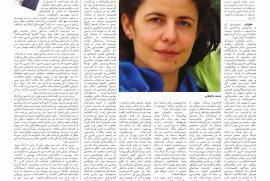 She holds a Ph-D from the Sorbonne University on Kurdish women’s representation in European literature, and currently works for the BBC. Note: The views expressed in this article are those of the author and do not necessarily represent the views of the Kurdistan Regional Government. For the full article, please visit the webpage.